On our last visit to Sydney to visit and look after our grandchildren we had a child-free day, so we took advantage of the lovely weather to visit Lane Cove National Park. This park is a wonderful natural environment along the Lane Cove River and is only a ten minute drive from my son’s home, and not much more to the Sydney Harbour Bridge. We drove through a section of the park we had never visited before, checking out the many picnic areas along the river. 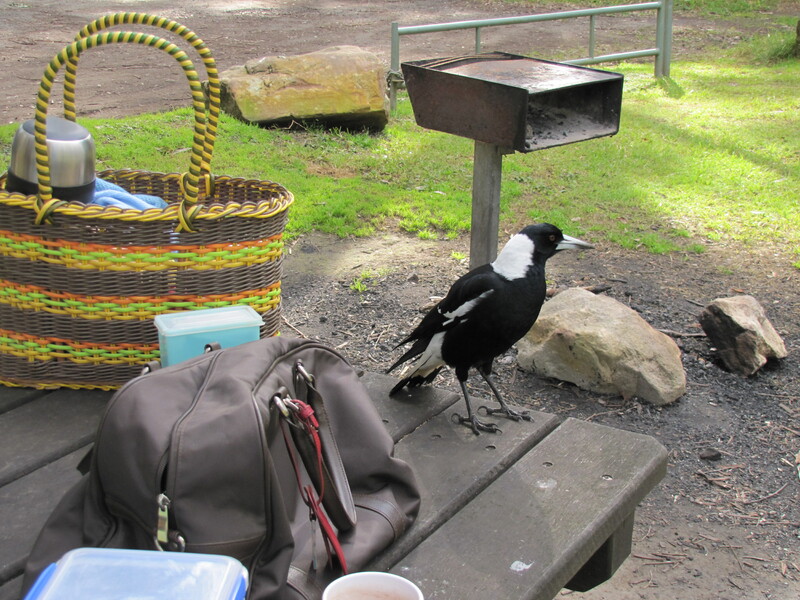 We eventually settled on a pleasant spot and set up on a nearby picnic table. It wasn’t long before several species of birds came to visit us, all in the hope of a free lunch. 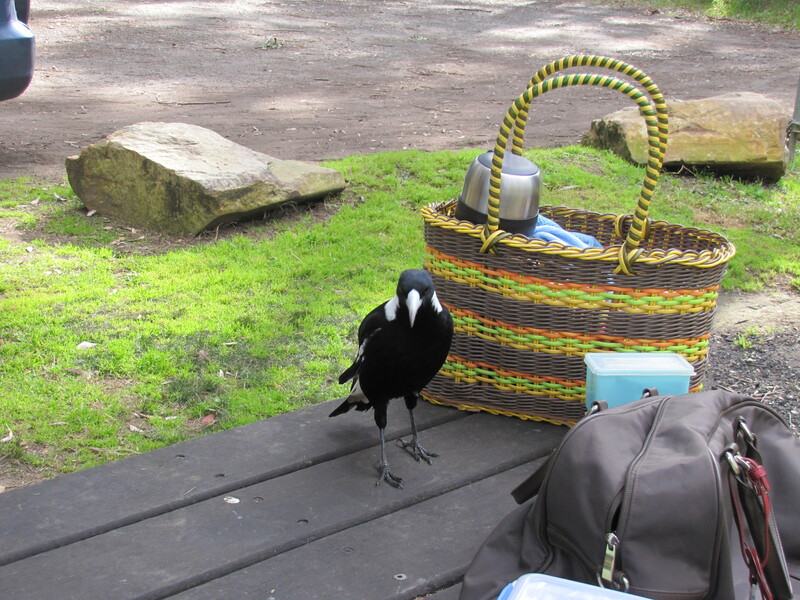 The boldest happened to be the Australian Magpie shown in today’s photos. 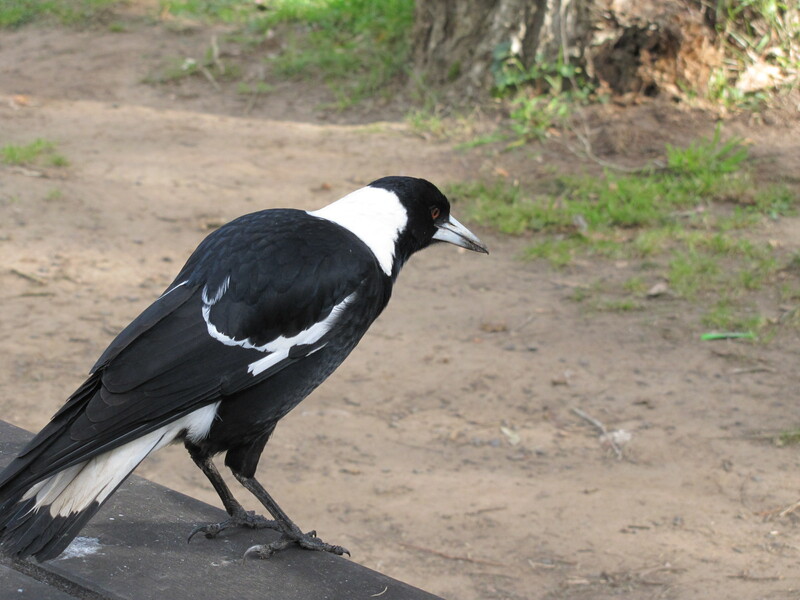 The magpies in the Sydney area happen to be the Black-backed sub-species. Those we have at home – Murray Bridge which is 80km SE of Adelaide, South Australia – are the White-backed version. 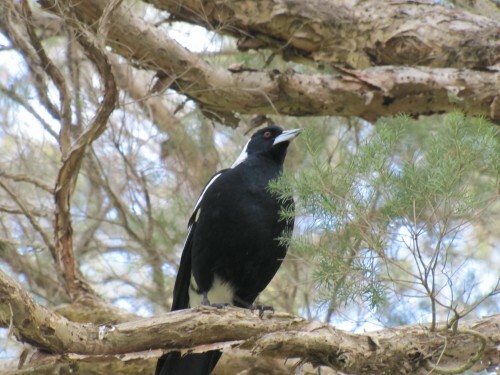 The Western Magpie is found in Western Australia, and there are many variations due to hybridisation on other parts of the country. Although this bird was very bold due to being very used to human visitors to the park, we didn’t take pity on him and feed it any morsels which is a good thing; human food is generally not only unsuitable for our birds and animals, it can also be dangerous and even deadly to them. Please don’t feed the birds. In the coming days I will show more close encounters with other species of birds during our visit to this lovely park.